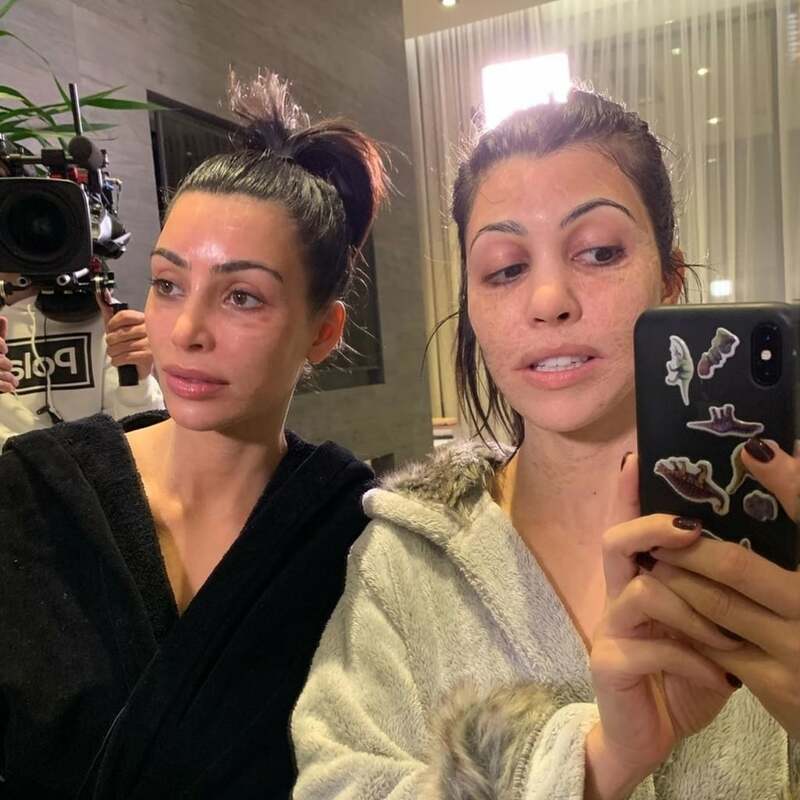 Whoa, We Almost Didn't Recognise Kim and Kourtney With This "Grandma Face Mask"
The Kardashians work hard, but their beauty treatments work harder. The famous family are at the forefront of many things: risky fashion, plenty of drama, and intense beauty treatments. We knew the sisters meant business with beauty as soon as we saw Kim Kardashian try a vampire facial. Now, the sisters have tried the latest buzzy (much less painful) skincare treatment, one that makes them look 20 years older. Although we don't know the exact product they used, it looks a lot like the Hanacure Multi-Action Treament Mask ($29), otherwise known as "The Grandma Mask," which promises smooth, lifted, and visibly younger appearing skin in 30 minutes. Kourtney posted the photo on Instagram with what appears to be a camera behind her, so here's hoping the treatment airs on a future episode of Keeping Up With the Kardashians. Next time the Kardashian-Jenners want to go out in public with a disguise like in the hilarious KUWTK episode, all they need is this freaky face mask.